I wish this coral was in my tank. I saw this at the local fish store and it was already sold. 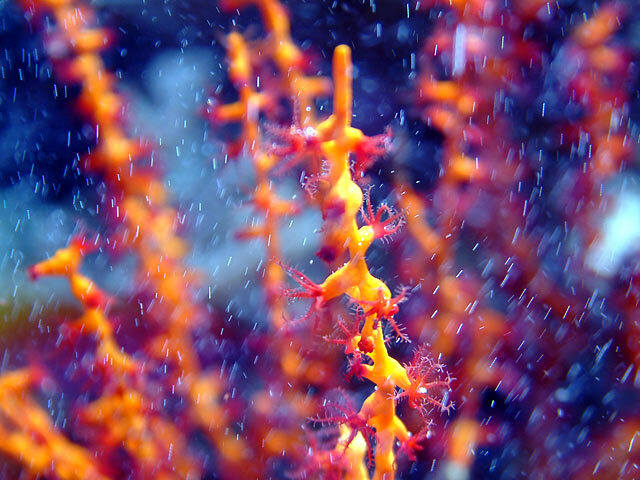 It is a Fire Gorgonian, and is a filter feeder. The best way to successfully keep it is to feed often. The LFS was adding Cyclop-eeze to the tank three times a day, and the coral was stunning. Look at these polyps!